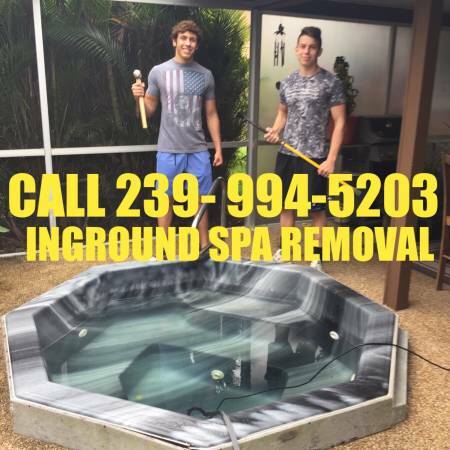 Call the professionals to move or remove and dispose of your Hot Tub/ Spa. We are Fully Licensed and Insured. And we have the Specialized Spa moving equipment necessary to move your hot tub/ spa safely. With no damage to your Spa or your property. We do everything!! The screen work if necessary, unhook, and removal and disposal. We move all size spas, from 2 seaters to Swim spas. Call the true professional Spa Movers with over 20 years of experience for your free quote today. Don't hire unlicensed junk removers! They can damage your property, we are licensed professionals!